Charges of blasphemy are frequently lodged, and all too often, the allegations arise from personal disputes. In 2014, the Punjab Prosecution Department reviewed 262 blasphemy cases awaiting trial and recommended that 50 be dismissed as invalid. Among those accused of blasphemy were the owner of a major television station and an imam. There are currently nearly 40 prisoners convicted of blasphemy in Pakistan. Last year alone, five people were sentenced to death and one to life in prison. To date, no one has actually been executed under the laws. 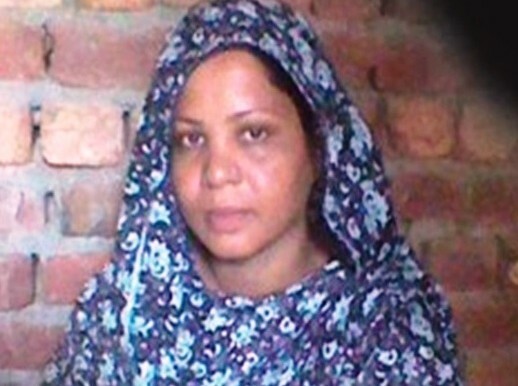 In Lahore, I met one of the attorneys for Asia Bibi (also known as Aasiya Noreen), a Christian woman on death row for blasphemy. I’m not revealing the lawyer’s name for his safety. In June 2009, Bibi’s co-workers complained about her to a local cleric, alleging that she had made derogatory statements about Muhammad and said that the Quran is not a divine book, but man made. 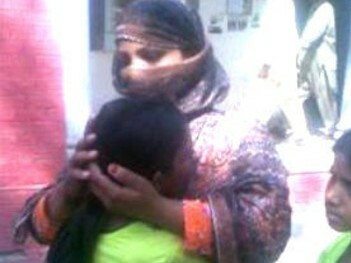 A mob came to Bibi’s home and beat her and members of her family before the police finally came and arrested her. In November 2010, she was sentenced to death. Her attorneys have filed various appeals, but all have been denied. They hope one more appeal may be heard in the next few months. In the meantime, Bibi has been kept in solitary confinement. Officials say it is to protect her from the other prisoners. I asked her attorney how she is doing. He told me Bibi “is uneducated and doesn’t understand what is happening to her.” He said her health has been very badly affected by her imprisonment. “She is leaning on her faith to keep her strong,” he told me. The lawyer said his larger worry is for Bibi’s family, especially her teenage daughter who is developmentally disabled. Threats have forced the family into hiding. Even if Bibi were to be acquitted, the danger wouldn’t be over. Many former blasphemy prisoners are murdered by vigilantes after they are released from prison. Lawyers and those who support blasphemy prisoners are also at risk. In May 2014, an attorney was killed in his office for defending a Muslim accused of blasphemy. Zafar told us while Pakistan protects freedom of expression, that freedom is “hedged with responsibility.” And he said the freedom can be curtailed “if it affects the security of the country.” Blasphemy, he said, is something that incites violence. Many of the Americans in our group were taken aback when Zafar stated that “it is difficult for non-Muslims to understand the depth of feelings” Muslims have for their Prophet and their faith. “So anything that goes against that feeling…is bound to incite passion. Passion leads to chaos and chaos leads to death and injury,” he said. Therefore, he argued, it is best to avoid violence by banning the inciting speech. Zafar acknowledged that the vast majority of blasphemy charges are based on false allegations. He said there is a growing movement in Pakistan to adopt safeguards to prevent misuse of the laws, including punishing those who lodge false claims. Having now traveled there, I see what a big challenge that may be.